In the spirit of the holiday season, we wanted to share something special with all of you. 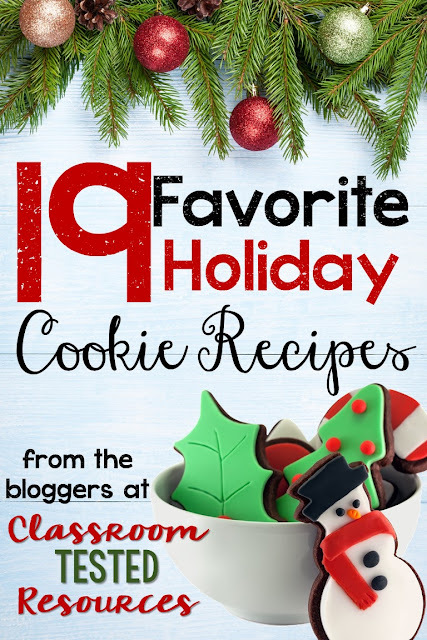 For better or worse, the holidays seem to be filled with delightful treats, and these recipes quickly become part of our family (and school) traditions. Nineteen of us have gotten together this holiday season to share some of our favorite cookie recipes. Hop through the links below, and you just might find a new favorite to add to your holiday traditions. There are even a couple of holiday freebies thrown in for you to use at school!